What is Acupuncture used for? and what can Acupuncture Treat? Acupuncture has been around for thousands of years, and still practiced today in many forms – but still some people don’t fully understand what it can be used for, what can acupuncture treat? One must understand a few basics about acupuncture – being an eastern method of treatment, it is not just one single thing we talk about when we say acupuncture, there are hundreds of types of acupuncture, and varying levels of acupuncture. In ancient china, Masters of Acupuncture passed basic knowledge of acupuncture to villages, so they can take care of basic illnesses and common injuries, and this type of acupuncture was intended for the common folk, which became popular because of it’s availability – and this is the type of acupuncture that exists in most areas of the world – it can help with all kinds of aches, pain and inflammation. 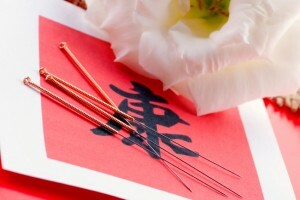 That said, acupuncture has advanced forms as well – only given to more dedicated students in Ancient China/Korea/Japan/India – this was the type of acupuncture that can fix anything and everything related to the human body – from depression to things as bad as terminal diseases like Cancer – even fertility problems can be fixed by this type of acupuncture. Finding a Master level acupuncture doctor is not always simple, as the average person does not know the difference, and most of the western world (and now even Eastern world) is familiar with mostly the commonly known acupuncture given to junior acupuncturists for handling small ailments. How can needles fix problems like cancer and serious diseases in the body? Acupuncture is not simply putting in needles in areas of the body like pressing buttons to fix a computer – its also as much an art as it is a science. It involves needling, Moxibustion, herbs, dietary intake and even complete lifestyle changes advice to the patients. How do you find a Master level acupuncturist where you are located? 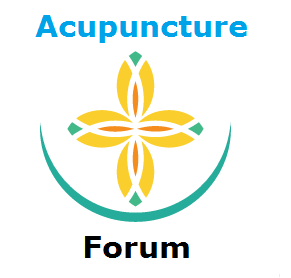 You can ask in the acupuncture forum here, or you can bookmark this website as we will be uploading information about verified acupuncturists who can treat higher level problems. Can you use acupuncture to enhance the human body, visually or internally? Yes it is possible to use acupuncture to get treatments to become sharper in your thinking, fitter body and much more – but this is only really done by your effort as well as your Master level Acupuncturists as mentioned above. This entry was posted in Acupuncture and tagged what can acupuncture treat, what is acupuncture good for, what is acupuncture used for on 14th July 2015 by Z.